Download and print this off for your records. DO NOT WAIT FOR AN EMERGENCY TO HAPPEN, be prepared! download and print this out for your emergency checklist today. In any survival or SHTF situation, the weather plays a big role in how you plan for survival. Cold weather presents unique challenges for the unprepared to deal that needs to be taken care of if you expect to survive. Hypothermia is one of those big ugly challenges. Hypothermia happens when you lose body heat faster than you can produce it. When this happens, your internal organs are unable to work properly and can lead to death. Avoid hypothermia in cold situations by following these steps. Dealing with hypothermia is best when precautions are taken to prevent it to begin with. In survival situations, this may be unavoidable. Staying prepared is easy in hindsight, but knowing how to see it early and deal with it before it becomes a problem is vital to surviving it. Hypothermia begins when your body is losing heat faster than it can produce it and can cause your body temperature to drop to dangerously low levels. 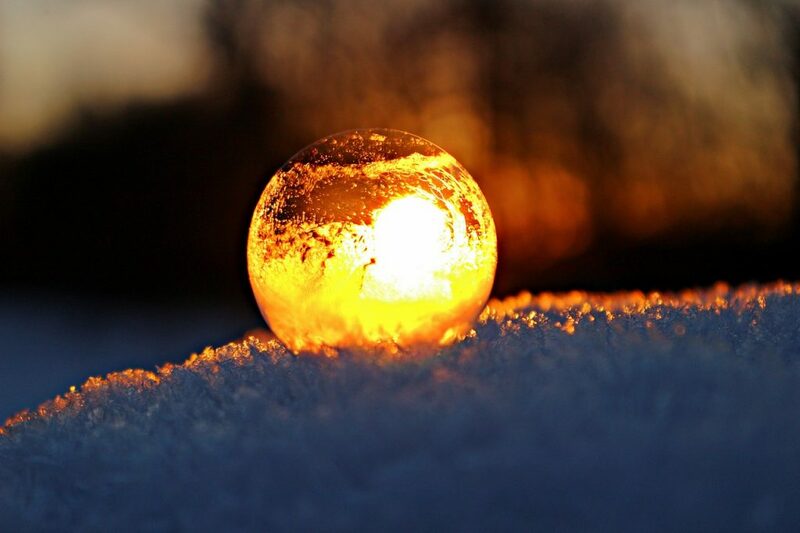 The normal body temperature is around 98.6 Degrees Fahrenheit and about 37 Degrees Celsius. Symptoms of hypothermia will begin when your body temperature begins to drop below 95 Degrees Fahrenheit, or 35 Celsius. When your overall body temperature begins to drop, your body is not able to function properly. Your vital organs, such as your heart, brain and nervous system begin failing and if not corrected soon, will lead to death. Most hypothermia cases are caused by exposure to cold weather or getting stuck in cold water. One of the easiest ways to eliminate hypothermia, is to simply warm up. In a survival situation, this should be your number one priority, staying warm. When freezing temperatures begin, understand you will not be able to function and find food, shelter or even water if you are frozen. Keeping children safe, to me, is priority number one. If I do not take care of myself, I will not be able to take care of my kids. As your body begins to lose heat in the exposure to cold temperatures, your body will begin to use up any stored energy it has to keep warm. As this process begins, you will begin to notice that you are unable to think clearly. This will prevent you from taking the proper steps to resolve your situation, or make some really bad decisions on your well-being. I always remember stories about how they found hikers or expeditions in cold weather naked in the snow. When they were unable to rationally think anymore, getting naked and jumping in the snow sounds like a fantastic idea. This is not just a situation that preppers need to be concerned about. Elderly people with inadequate food, clothing or heat in the home can suffer from hypothermia as well. Knowing how to identify it is not just for SHTF situations. Ideally, having warm shelter is the best options, but sometimes we don’t have access to that. Items like solar blankets are great to wrap up in to help prevent heat loss. Having a fire, or other heat source is a great way to keep warm as well. 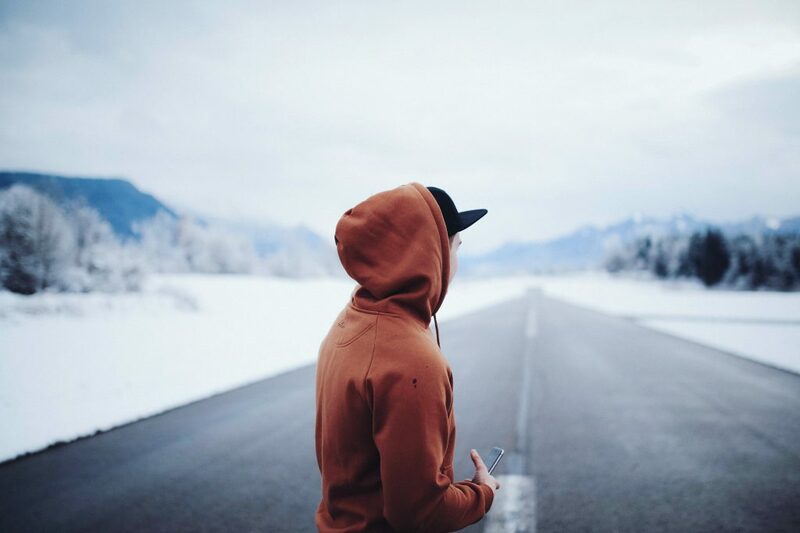 Clothes: Wearing a basic layer of protective clothing to help prevent heat from escaping your body in cold weather. This goes beyond your basic shirt and pants.Make sure you have items such as mittens instead of gloves, this keeps your fingers closer to help provide warmth, a scarf to cover your neck and a cover for your head and ears. 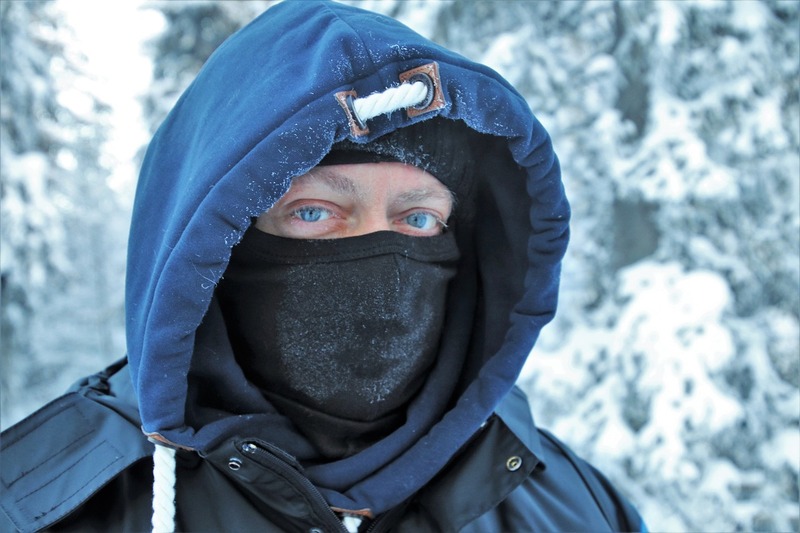 Finding a mask like this to cover your face will help keep the warmth in to help prevent hypothermia. Overheating: Activities that will cause you to sweat you will want to keep to a bare minimum, if not avoided all together. Sweating during cold weather will leave you with wet clothing that will drain the heat from your body even faster. We want to minimize all heat loss in a survival situation. Layers: Loose Fitting, layered and lightweight clothing is a must in this survival situation. Clothing like these are made of tightly woven water-repellent materials what not only do a fantastic job of keeping moisture out, but also protection from any harsh winds. Clothing with silk, polypropylene and wool inner layers will hold your body heat in better than cotton will. Dry: If it is possible, KEEP DRY. If you have wet clothes, change into dry ones as soon as possible. Wet clothing will drain the heat from your body and cause your body temperature to drop. Place your clothing near a fire to dry them out quickly. Staying safe in cold weather will save your life. In the event of a major life changing situation where you don’t have access to electricity or the comforts of your home, knowing what to do next is vital to survival. If you have children with you, add an extra layer of clothing for them to ensure they stay warm. Kids do not know the dangers of extreme cold weather. We all enjoy playing in the snow, but we need to pay attention to hypothermia symptoms. Use the COLD acronym. Make sure any children are staying out of wet clothing and limit the play time to prevent overexertion . 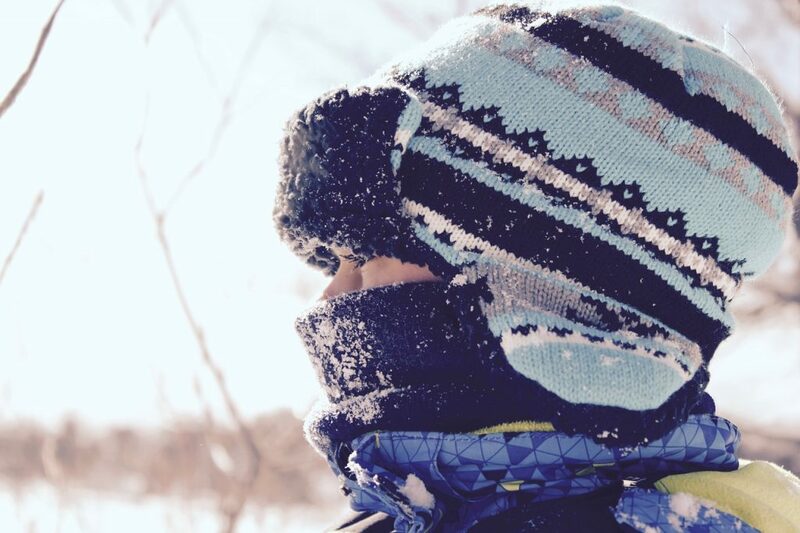 Children are at risk of hypothermia like adults, but may not know the symptoms of it. As an adult, you will need to make sure the kids are safe every few minutes. Staying prepared does not have to be expensive. Solar sheets are fairly inexpensive and may just save your life one day. Having a kit on-hand for each member of your family that has the basic items such as food, water, medical aid and fire starters do not have to be expensive. Finding these items at great prices are simply a few clicks away. No need to break the bank to keep you safe. Having the right tools on hand is imperative. In a true scenario, if you have not prepared, then it is too late to prep. Doesn’t really matter if you plan on hiking in the snow, camping in the mountains or some other scenario that has pit you against the elements, these tools will help you survive. Let’s begin. You can find some great deals on these items here. These items do not have to be expensive to acquire, but your survival kit should include these items and I will explain why. Bright Clothing: Brightly colored clothing can be seen from a distance if you are stuck in the snow or wilderness if you need help. Bright colors like neon green, orange and yellow can stand out against a wooded or snow background. Quality Sleeping Bag: If you are stuck outdoors, or a cold enclosure, retaining body heat is vital to defending yourself against the elements. A good, quality sleeping bag can make the difference between freezing and keeping your body heat to nominal levels. Pick a bag that has a tightly woven water-resistant material that will keep out moisture and help maintain a dry environment. Fire Starting Equipment: Starting a fire should is not just important for warmth, but it is important for cooking and sterilizing water in a survival situation. With good equipment, you can melt snow for drinking as well. Keeping it simple, like cotton in a straw, can be a simple, cheap and easy way to have some flammable tinder when you need it. Having a flint rod, or other way to generate a flame, is vital. Keep it small and simple for a bug out bag. Shovel / Saw / Axe / Hatchet: Having the tools to work and get the job done as fast and easy as possible is another essential element for survival. Digging holes as a restroom, cutting firewood, or even helping with debris can be a game changer with the right tools. Obviously, having the perfect tools for the job may not be available. Having a multi-tool like this one can help get the job done. Stored Food: The last thing you want in an emergency is no food. Having a few packs of tuna fish can sustain you for a while, but for how long? Prepping for an emergency is never easy, since no one knows how long you will be in the situation. 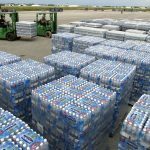 Rotation of emergency food like tuna fish, food bars, and other types of food with long-term storage capabilities is great to have, but you will also need to know how to find food for when you run out. Container for Cooking: Hopefully, your home may be stocked with stuff you can continue to use, but if you find yourself away from home and cooking over a fire, you will need something to cook with. Something like this is easy to carry, washable and reusable. Carrying big pots around in an emergency situation is not really an option. If you are in a group, then you will need more than one cooking pot. This is a great option on Amazon, that allows you to have a compact cooking solution. Emergency Blanket: These types of emergency blankets can reflect up to 90% of your body heat back to you, making it very viable in an emergency situation. These can be found at a big box store for around $10 or so, but you can get them crazy cheap from online sources, or here. Make sure you have enough for your family and a few extras. I have seen these for sale for well under $1 with free shipping on some sites, making it an extremely affordable and potentially life saving blanket to have. This is a must if you live in cold climates. 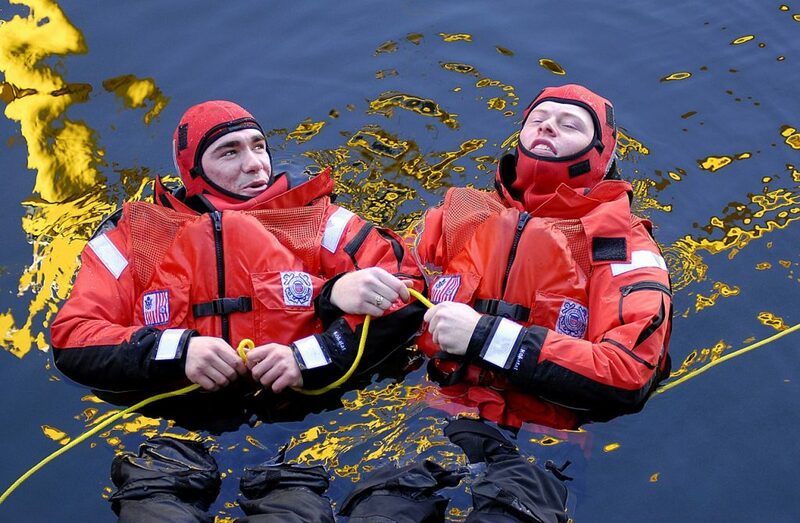 Safety is very important in an emergency situation where hypothermia is a real threat and you are not prepared for it. Unfortunately, children and the elderly die from this every year, even while having access to electricity and heating, when they do not expect it. Knowing the signs of hypothermia and how to properly deal with it is vital to survival in cold situations.